More than 150 names join DMA’S, Baxter Dury, and Peace at Sound City, Getintothis’ Cath Bore picks out the best. Sound City returns Liverpool’s city centre in just a few weeks time, showcasing over 250 of the very best bands, artists and performers from across the world. 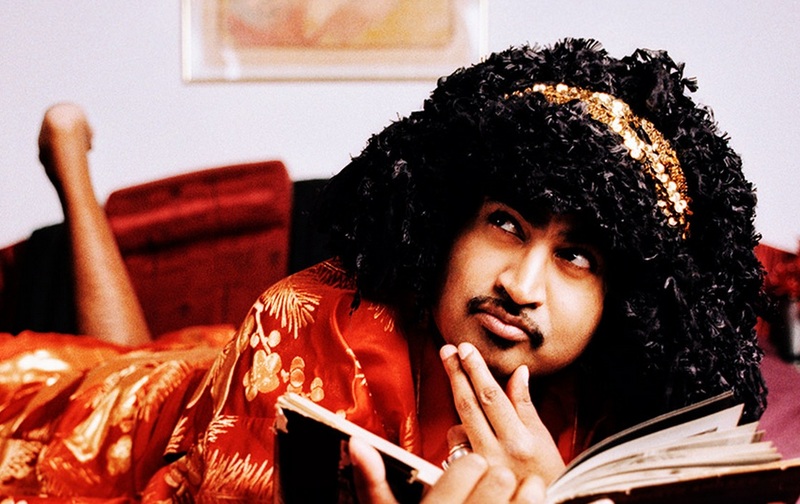 A raft of new names are announced today, including King Khan and The Shrines (who play the Getintothis late night show after party alongside Pale Rider, King Hannah and Beija Flo), 77:78, formerly The Bees, and 21-year-old singer and producer Tom Tripp. Edge Hill University present a The Label Recordings‘ Venue Takeover and three times GIT Award nominees Stealing Sheep are to perform a Suffragette Tribute with an extensive female marching band. Estonian Mart Avi heads up the list of international names performing at the festival. Others include include Trupa Trupa (Poland), Venus Tropicaux (Netherlands), Holy Bouncer (Spain). Greg Wilson is revealed as host for Sound City’s closing party at Hangar 34 from the stroke of midnight onwards. Further late-night action, in addition to Getintothis, is provided over the weekend by Tim Peaks Diner, and local house and techno promoters Abandon Silence. 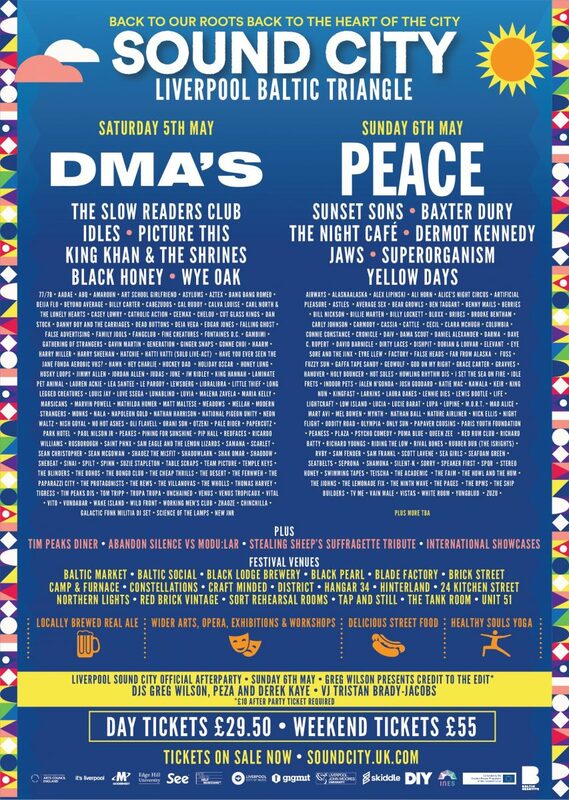 All these names and more join the already announced DMA’S, Baxter Dury, Peace, The Slow Readers Club, Picture This, Idles, Superiororganism and The Orielles plus a raft of local up-and- coming artists such as GIT Award One To Watch 2017 Zuzu and Bill Nickson. The stage splits across the weekend have also been revealed too – see below for full details. There are showcase parties to enjoy from with Heavenly Recordings, ATC Live, DIY, Modern Sky Records, Kycker Music, Zandari Festa, SESAC, End of The Trail, WRONG festival, Threshold, Lab Records, Punch Records, The Local, DITTO, Sentric Music and more. Over to the festival’s wider arts programming, The Unusual Art Sourcing Company will have their award-winning life drawing alongside poetry, acoustic performances, spoken word, busking, and surprise guests. Flat Pack Music will perform Mozart‘s Cosi Fan Tutte. The Tim Peaks Diner also returns, and Gigs and Graphics ‘20 x 20’ engages artists and musicians together, pairing 20 artists/designers/illustrators with 20 music acts.